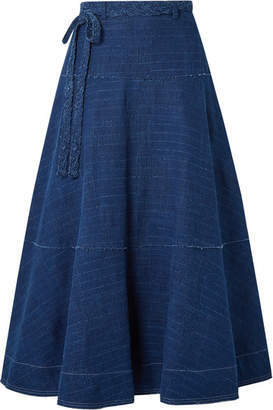 Elizabeth and James' Instagram features images of desert flowers and California skateboarders that evoke the same easy vibe as this 'Shirley' maxi skirt. 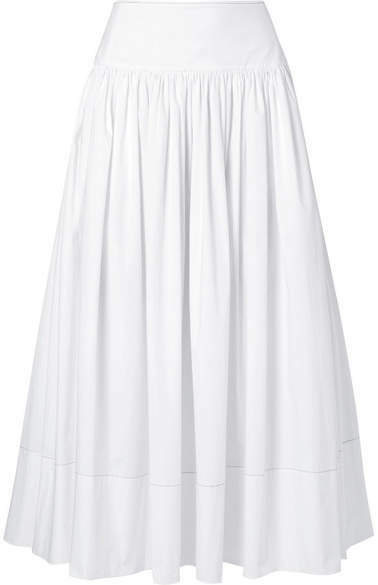 Made from white cotton-blend poplin, it has a wide waistband and soft pleating for a little volume. Effortless styling works best - think slides and a pair of earrings.